This weekend was surreal to say the least. 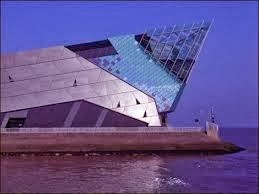 Along with a team of other Scout leaders I took my pack of Cubs (and 5 others) on their Humberside District Sleepover at The Deep in Hull. After the public had all left for the day over 100 Cubs arrived at the 'submarium' for their big adventure. 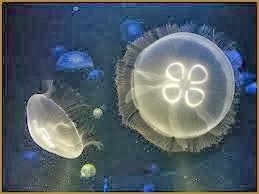 First we took the tour around the facility, stopping to marvel at the jellyfish as they glowed in their tubes, stopping to pet the starfish and a sea urchin the children's minds started to spark with what was ahead. 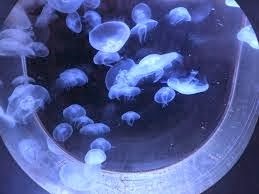 After marvelling at a purple-spotted and pregnant ray in the petting tank, we continued to a slightly larger tank filled with tropical fish. Including the most darling of a fish with a polka-dot belly and a rather deflated puffer fish. They're almost cute when not looking like they have swallowed a balloon. 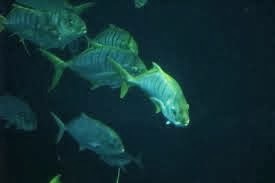 We turned round to be brought face-to-face with a shark and some of the hugest fish I have ever seen. Not a clue what variety they were but goodness they were fast. We got to eat supper near the shark tank, then moved on to design some t-shirts and badges. This is where I sloped off for a crafty latte in The Deep cafe. If you do go I wholly recommend that beverage, creamy and caffeinated just what I needed! Quickly, 10pm arrived and with it bedtime for the cubs... believe that you'll believe anything. 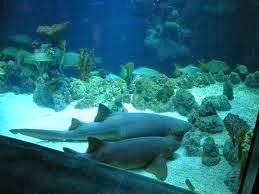 My pack were next to the shark tank. As soon as lights out happened the giant swordfish came out to play. There were truly a sight to behold. One by one the Cub fell into slumber. That's when as I leader I got to play. I tend not to sleep on residentals/sleepovers if they are only for one night and they are going home soon after. 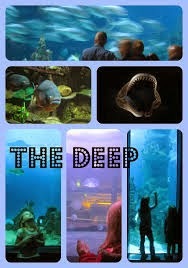 I got to tour the facility with the lights off, the sharks were amazing and the fish sneaky. It was such an amazing opportunity, and all my cubs loved it. 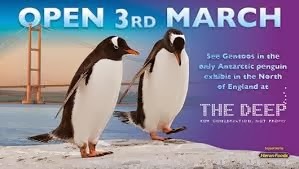 All the staff we had contact with were brilliant and I can't wait to return once the penguin's arrive, their new enclosure already looks like it is going to be out of this world. Wow that sounds brill, I'm a little bit jealous! !